The 2018 Guthrie Award recipient was Mary Birdsell. 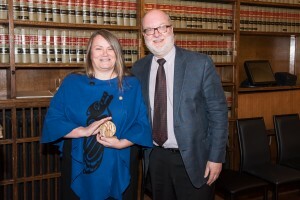 Ms Birdsell is Executive Director of Justice for Children and Youth, a legal aid clinic dedicated to protecting and advancing the legal rights and dignity of children and youth. 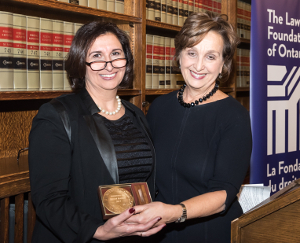 She has devoted her career to providing legal services, justice advocacy, community development, and research and education on behalf of the most vulnerable children and youth and has appeared at all levels of courts, including the Supreme Court of Canada. Watch a video of her speech. See photos on Facebook from the celebration event. The 2017 Guthrie Award recipient was Professor Reem Bahdi. Professor Bahdi is an author, researcher, and human rights expert, with particular expertise in the human rights of Arabs and Muslims in Canada. She was the Canadian Bar Association’s first Equality Advisor and was instrumental in the creation of the Arab Canadian Lawyers Association. 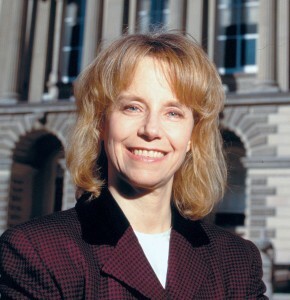 The 2015 Guthrie Award was presented to Julie Mathews. Highly respected in the non-profit and justice sectors, Ms. Mathews has been instrumental in the creation of several innovative projects. 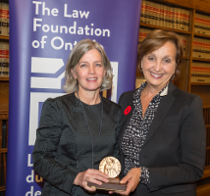 Her ability to see the big picture has translated into services that benefit people from across the sector: individuals seeking help, community organizations and public legal education and legal professionals. The 2014 Guthrie Award was presented to Kimberly Murray. 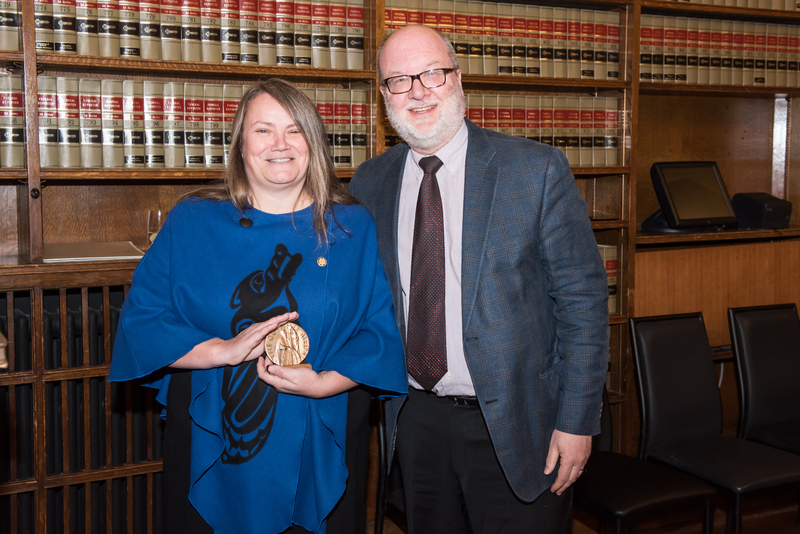 During two decades of outstanding public service as a lawyer, educator, and community leader, Ms. Murray has consistently demonstrated exceptional commitment to improving access to justice for Aboriginal Peoples. The Barbra Schlifer Commemorative Clinic is renowned for its commitment and efficacy in addressing both the immediate consequences and underlying causes of violence against women. Through Alan Borovoy’s forty years of inspired leadership, the CCLA has become this country’s foremost advocate for freedom of speech and expression. As General Counsel of the CCLA, he devoted extraordinary amounts of time and energy to be an advocate for the rights and freedoms of people who might otherwise be denied them. 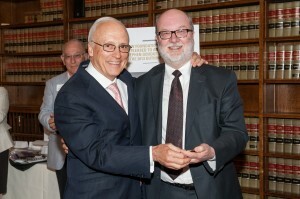 An innovative supporter of community justice and numerous charitable causes, Martin Teplitsky founded the Lawyers Feed the Hungry Program and was instrumental in launching the Law in Action Within Schools (LAWS), the country’s first law-and-justice themed high school program. As a volunteer, lawyer, judge, former Attorney General of Ontario and Chief Justice of Ontario, Roy McMurtry is a man of countless accomplishments. 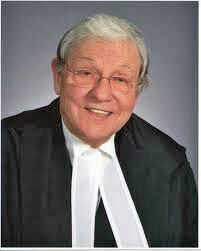 He is an unwavering supporter of Pro Bono Law Ontario and is one of the founders of the Ontario Justice Education Network. He was instrumental in the negotiations leading to the enactment of the Canadian Charter of Rights and Freedoms and continues to champion access to justice for all Canadians. 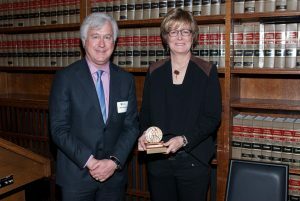 One of the country’s foremost corporate lawyers, James Baillie has made an outstanding contribution to the administration of justice and legal education in the corporate and securities law areas. His longstanding service to many government, institutional and educational bodies has made an enduring benefit to the profession and wider community. 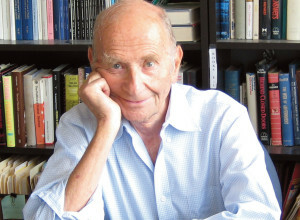 Balfour Halevy, professor emeritus and retired law librarian at York University, has significantly influenced North American and particularly Canadian law librarianship. Under his leadership, Osgoode’s law library was the first to develop the academic law library Acquisitions Program, which later became the Virtual Academic Law Library Project. The PCLS was selected in recognition of the organization’s valuable contribution to law students in the provision of hands-on experience and the clinic’s focus on the study of poverty law and reflection on the broader themes of the administration of justice and law reform. From 1979−1998, Peter Oliver served as the editor-in-chief of The Osgoode Society for Canadian Legal History, publishing 35 volumes. As Editor, he spearheaded many innovative and interesting projects. Also a professor of Canadian history at York University, Prof. Oliver specialized in the political, social and legal history of Ontario in the 19th and 20th centuries, as well as correctional history and penology. He was the author of five books, including Terror to Evil-Doers: Prisons and Punishment in Nineteenth Century Ontario (1998).